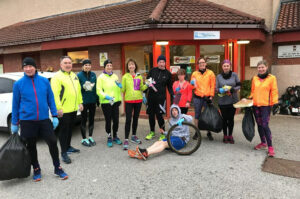 jogscotland groups around the country will be picking up litter as they jog – also known as plogging – during Keep Scotland Beautiful’s Spring Clean 2019. Why not join us and hold a plogging session at your group? 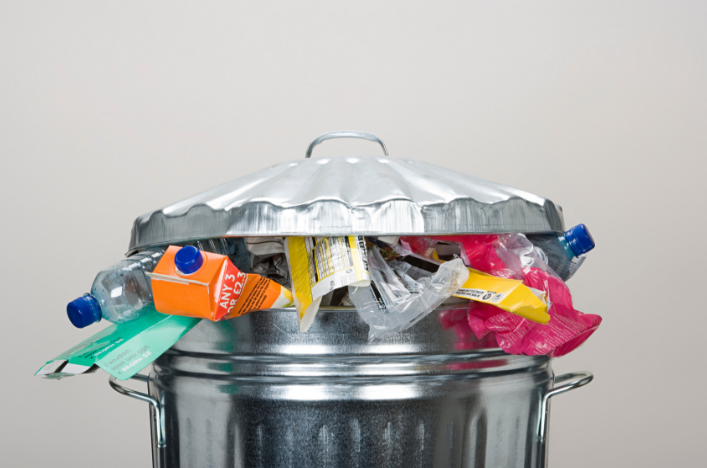 It’s easy to do – just add some bin bags to your regular jogging session, pick up litter from along your route, dispose of it at the end and feel even more satisfied than usual after your jog is over! Keep Scotland Beautiful is holding its annual Spring Clean during April and May 2019. They’re keen to get as many community groups, businesses, schools, individuals and other organisations to work together to help clean up Scotland. There are several themes during the Clean Up, and we’re proud to be a part of activities centring on Active Travel Week, along with cycling charity Sustrans, who will be organising clean-ups along Scotland’s National Cycle Network. 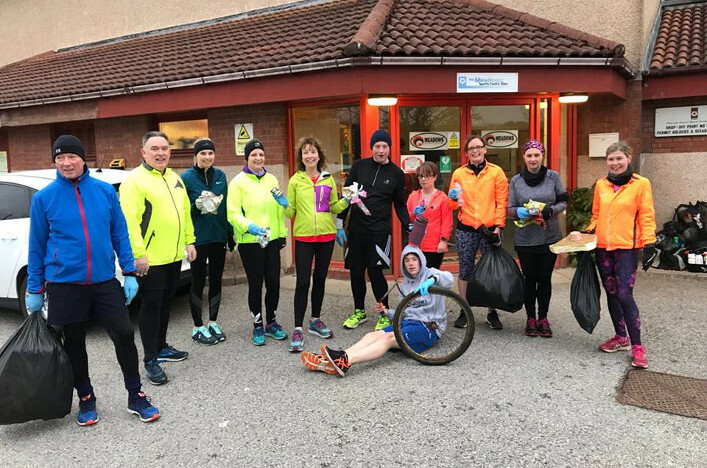 Some jogscotland groups have already tried plogging – Ellon jogscotland held a Wombling Wednesday Treasure Hunt last year (pictured) and gathered so many bags of rubbish they had to stop and dispose of them mid-run so they could continue! Read more about their day in Stride. *What next? We’re asking jog groups to register, so we know how many groups take part. For more information, pop over to this form and give us your details! Lots of groups have signed up already!